First things first, emotion still rules our lives. No matter how many facts we gather before we make a particular decision, we will always be heavily influenced by our feelings. These feelings in a prospective customer are emancipated by a brand identity and presence. With more and more people using the World Wide Web if you are not visible online you may not exist for many customers. Hence, it becomes absolutely essential to enhance your web presence, portray the right image and communicate the right message online whether it’s through your website, email, social media channels enabling you to build a strong presence that encourages action. Contrary to what some marketers might think, investing in your brand online is not just about spending money on the brand. Instead, it’s about building an entity that will resonate with your customers and keep them coming back again and again—even when there’s no deal or promotion to entice them. Not only will building your brand online go a long way to boost awareness and build your reputation, but the more people are invested in your brand, the greater the chances are that they will actively seek it out and remain loyal. Online Branding is a major factor, which will help you convert your visitors into consumers. Effective branding is all about telling customers who you are, what you do and how you do it. We act as a catalyst for your web promotions and branding, and enable you to reach the right audiences. We provide you with a distinguished online presence. Our customized solutions can help you promote your brand and redirect potential customers to your website. We believe in not just creating users of websites for our clients, but in creating fans. Creating an online branding strategy will help position your website and bring you more qualified web traffic at less cost than just advertising alone. 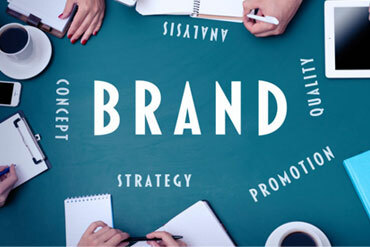 Online branding involves a number of internet marketing strategies used together, including search marketing, social media, online PR and SEO to make all the difference. nETGURUSOLUTION offers creative online Branding Solutions, targeted to drive not just traffic but revenues.